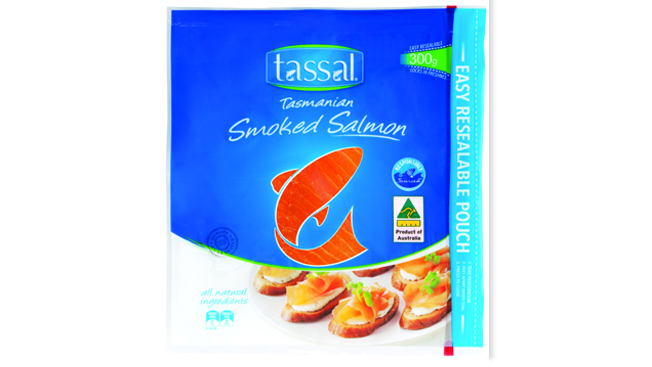 Smoked Tasmanian Atlantic Salmon is made from superb Atlantic salmon, grown in the pristine waters of Tasmania. Once harvested, the salmon is gently smoked using traditional methods to produce a smooth delicate smoked flavour balanced with the richness of the Atlantic salmon species. The salmon is then carefully sliced and vacuum sealed for freshness. Tasmanian grown Atlantic Salmon (Salmo Salar), Salt. *Percentage Daily Intakes are based on an average adult diet of 8700 kJ. Your daily intakes may be higher or lower depending on your energy needs. #Based on the National Heart Foundation of Australia’s recommended adult consumption. Please note: Nutritional details are accurate at time of publishing, always refer to nutritional panel on packaging.